We have a very fun weekend here at my house. We (finally!!) decorated for the Holidays!! I love the look of the house with all the lights and the decorations. One of my favorite things to do is to sit down in the dark and look at the tree lights... 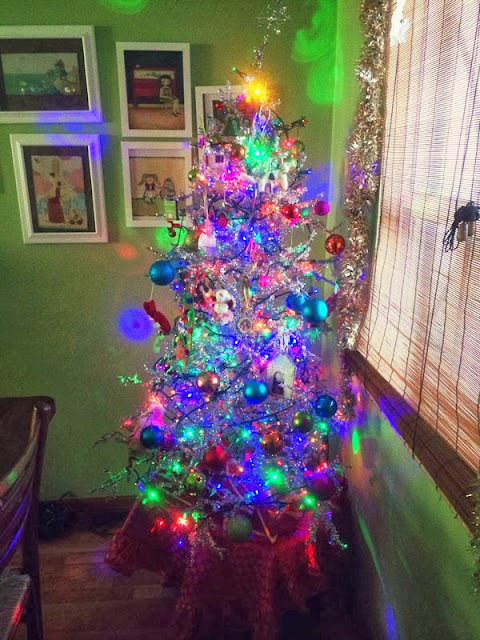 I usually find it very soothing.. until this year hehe.. it looks like disco tree with those bright led lights, but my children LOVED it this year so they're here to stay! Even during the day the lights are super bright! And we don't have a mantel to decorate, but we use any surface available... it's Christmas time! 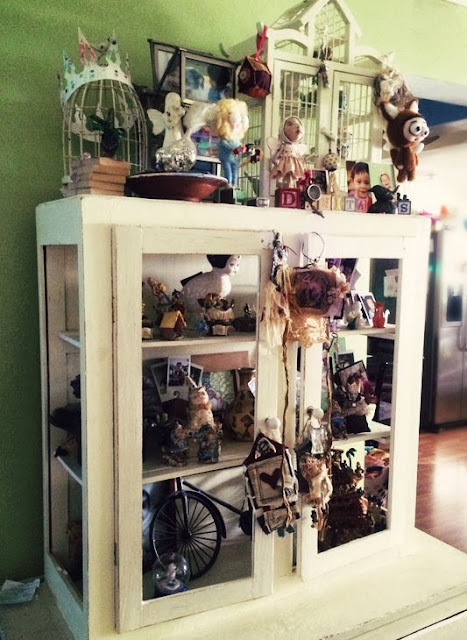 Here are some of my handmade by other artists' collection of ornaments and figures. 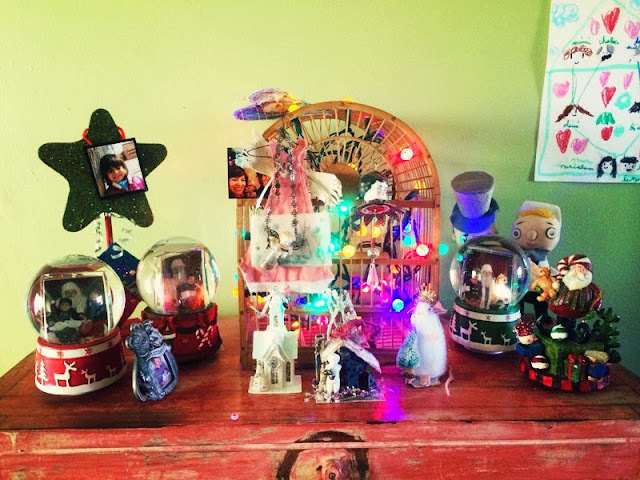 And here's is what we hope, will be an ever growing collection of snowglobes with my children's picture with Santa. So far we have 3 (the same as my little's one age). One day I hope to have 20 or 30 of these... the only problem will be convincing them to go and sit on Santa's lap when they're old. 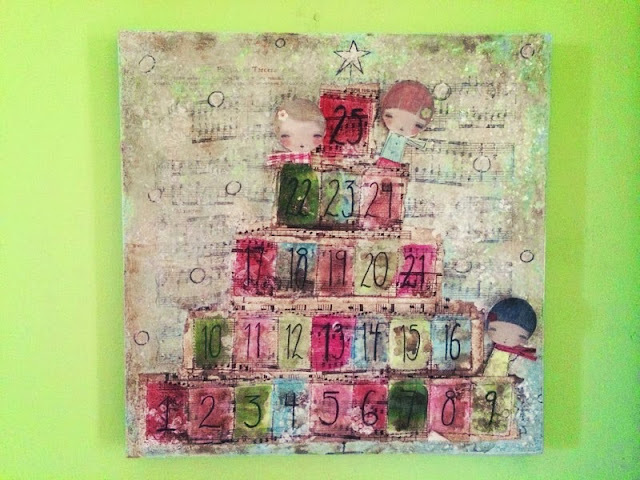 And we also keep the Advent Calendar I made for Somerset Magazine a few years ago. I loved that piece and couldn't part of it, so it's staying with us. I'm on day 9 but my children insist on being on the top. 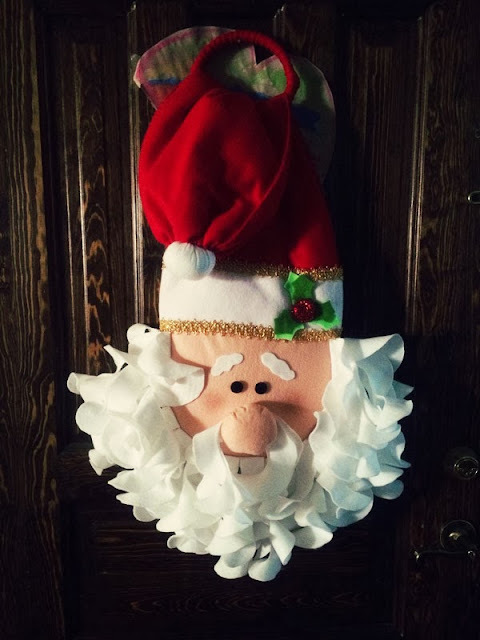 And finally, a Santa my aunt made that we hang inside the front door. My boy was all excited when he saw it because he thought it was a piñata... He was a little bit disappointed when we clarify it wasn't but now it's happy because our front door is now Santa's door. And that was a little bit of my house during the Holidays. What about you? Do you have all your decorations up already? 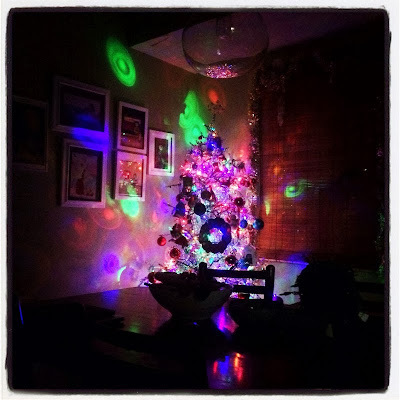 Yes I do have my decorations up and now I wish I had disco lights like you! I love the snowglobe idea, what a lovely keepsake for years to come. 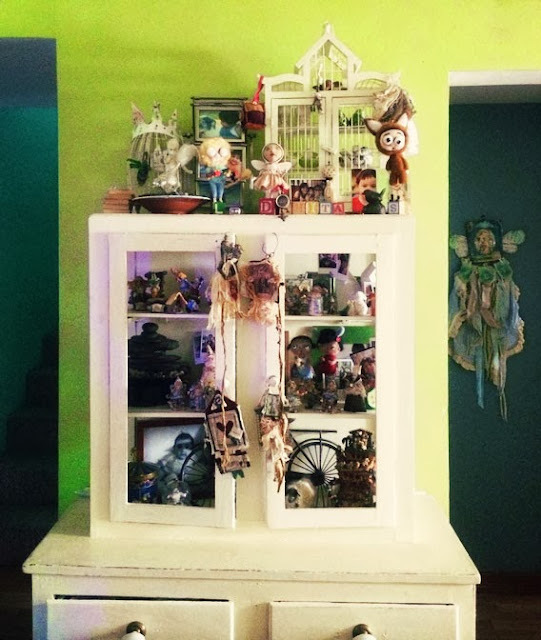 Your house looks very magical with the artwork, I love it! 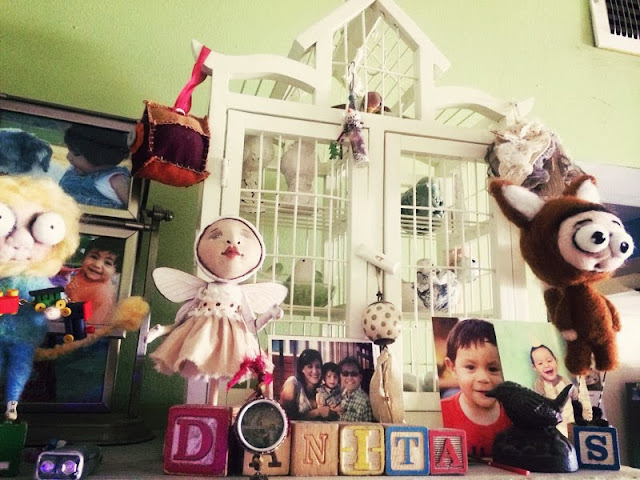 I love your tree, Danita. 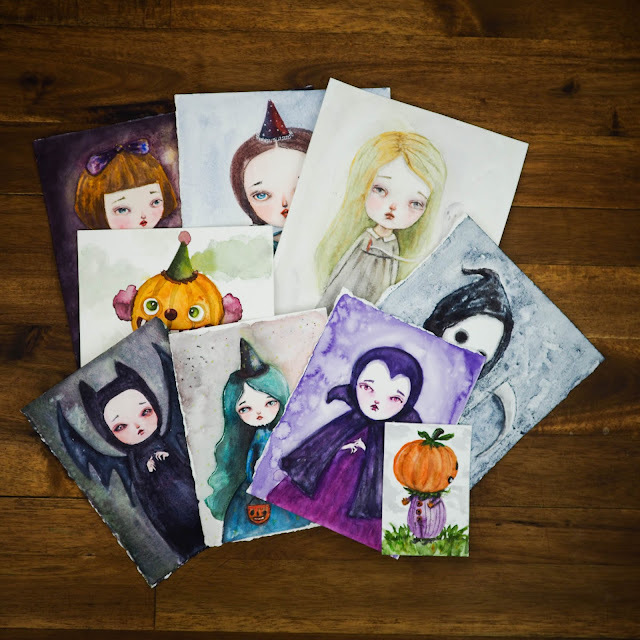 Gorgeous and whimsical.